SENIOR SCOR. The North Kerry Finals of Senior Scor will once again be very kindly sponsored by local man; Tom O Sullivan of Agri Business, Kilcolman Asdee. 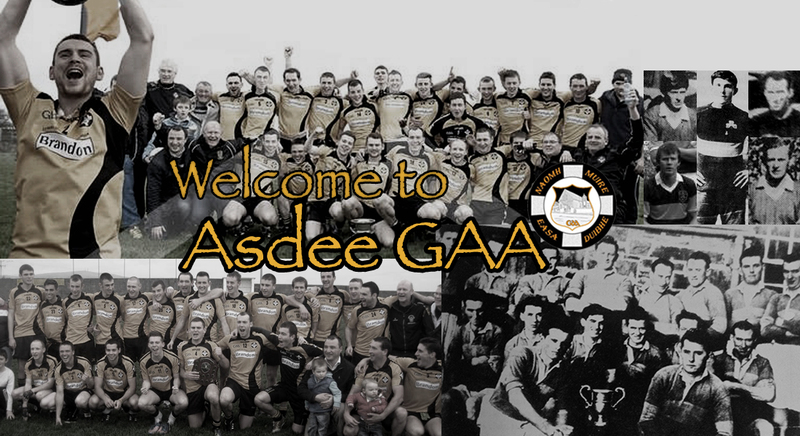 The competition will run early in the New Year and will take place in the Community Centre, Asdee. A.G.M. The Coiste Scor Chiarrai Annual A.G.M. took place at the Austin Stack, Park, Pavilion on Thursday last September 26th North Kerry were well represented on the night with Jackie Walsh, St, Senans, Noel Fennell, Ballylongford and Jack Hennessy, Asdee all holding their positions as Vice Chairman, Treasurer and P R O respectively.